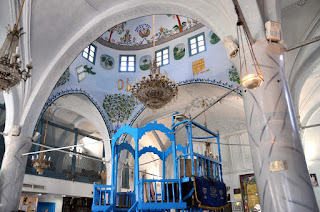 Like so many other places in Palestine and Israel, Jericho, supposedly the oldest continuously inhabited city of the world, is full of legends and myths, many of which are biblical and endowed with wonders and sacredness, others, especially the more recent ones, are embedded with a less holy aura. 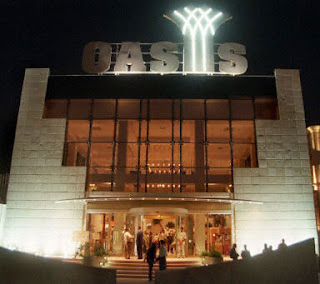 Such is the story of the Oasis Casino, one of the sites a Jericho tour will lead you to. Following the signing of the Oslo Accords in 1993, the PLO, together with Israel and the United States engaged in activities to solicit private and public investment to assist the Palestinian government to boost its economy. 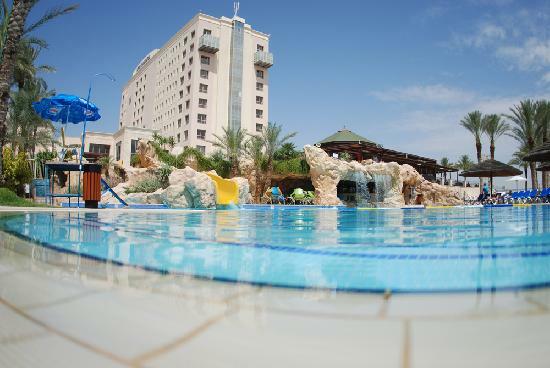 Constituting the largest private investment project in the Palestinian territories, as well as the first major cross-border development project involving Israel, the Palestinian Authority (PA) and Jordan, the Oasis Casino opened its doors in September 1998. The cost of the construction of the casino was estimated at US$ 92 million and included 2800 square metres of gaming floor, including 35 tables and 220 slot machines (both of which would increase during the course of the existence of the casino). 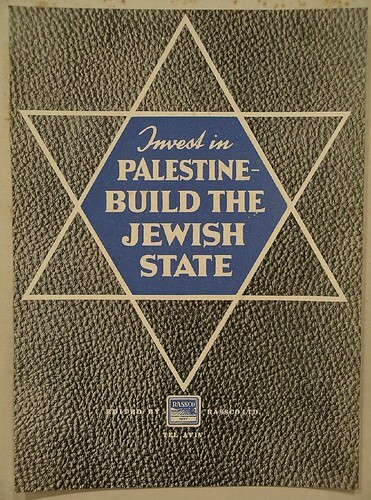 Although a cooperation between Israel and the PA, the decision to build a casino, rather than investing money into more practical infrastructure projects, such as housing, highways, electric generation plants or water treatment facilities, was an independent one made by the PA. It was mainly based on the fact that, while according to gaming industry analysts, Israelis are among the world's most prolific gamblers, gambling itself was and continues to be illegal in Israel and the closest casinos are located in the Sinai and on boats outside of Eilat. This clear imbalance between supply and demand of gambling thus generated expectations among the PA to generate millions of dollars in investment proceeds and tax returns and made them ignore the opposition of its population and religious leaders. Just like Judaism, Islam condemns any form of gambling. The choice of Jericho as location was based on its historic tourist status in the region, as well as its natural beauty, opportunities for development and probably most importantly, its proximity to the centre of Israel and Jordan, and hence also its convenient access for foreign tourists. At the same time, however, the operators of the casino thought it appropriate to make their visitors forget that they are in Palestinian controlled Jericho which led to it being built as closely as possible to the border of an Israeli controlled area (a few hundred yards from the last Israeli checkpoints before entering Jericho) and Palestinians, unless they would hold a foreign passport, were banned from using the facility. After only a year of operation, the casino welcomed daily an amount of 2800 visitors, who would spend US$1 million. During the first days of the Second Intifada, Palestinian militants reportedly used the casino to fire at IDF soldiers, who in turn blew a hole into its front. Due to security concerns, which led to the absence of Israeli visitors, the casino was closed down shortly after. Stories surrounding the casino continue to be told up until today, most of which concern issues of corruption and the involvement of both high rank Israeli and Palestinian politicians. unofficial employee of the Stasi (the secret police of East Germany), Martin Schlaff bribed then prime minister Ariel Sharon with US$3 million, to reopen the casino. Later investigations also connected current prime minister Ehud Olmert and Minister of Foreign Affairs Avigdor Lieberman with Schlaff and further bribes. Similarly and unsurprisingly Yasser Arafat, himself an associate of the Oasis and his economic advisor Muhammad Rashid, seem to have been involved in money laundering through the casino. Some of those issues are still being investigated up until today, and it will probably take some time until the “casino of the peace process” will open its doors again. The operating company Casinos Austria International remains optimistic and states on their website “[t]he casino remains fully equipped and ready to reopen as soon as political circumstances in the region permit“. 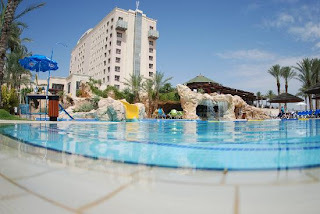 As a monument of dirty politics surrounding the Middle East conflict, the Oasis Casino and the adjacent luxury hotel InterContinental are still worthwhile a look, and constitute quite a contrast to the other sights that you will visit during a Jericho tour. Sie finden hier auch eine ständig wachsende Liste von Online-Casino und auch Online-Casino-Spiel-Anbieter aus der ganzen Welt und Führer, sowie Artikel über alles, was vielleicht noch interessant spielautomaten für Sie in der Glücksspiel-Welt.